A Homebuyer’s Report is a Level 2 survey on the RICS scale and it advises on defects which may affect the property and its value. The Homebuyer’s report follows a traffic light system where issues that need immediate attention are highlighted in red, whilst problem-free areas will be green. The format of the report however, is fixed, and as such does not allow for additional items such as photos to be included in the report. It is not as in-depth as a Full (Structural) Building Survey. A Full Structural Building Survey is the most comprehensive type of survey, and the highest (Level 3) on the RICS scale. It is ideal for older properties or properties which may have issues. A Full Building Survey is also advised if you are planning major works to the property. It includes all the fundamental elements of the other RICS building survey reports but offers a more in-depth analysis and provides advice on defects, repairs and maintenance. This type of survey does not typically include a valuation, but we recommend that this is carried out separately for greater accuracy in any case. What is the purpose of having a Full (Structural) Building Survey carried out? A property may appear in good condition and it can be tempting to assume there are no major problems with it, but there may be costly discoveries upon moving in. A Full (Structural) Building Survey is carried out to establish that the house is structurally sound and to advise you of current and potential defects; and whether they are expensive, serious, common or to be expected with this type of property. What is the difference between a Full Structural Survey and a RICS Home Buyer’s Report? The site visit itself is very similar for each report; but the report itself is very different. RICS Homebuyer’s Reports tend to be cheaper and have a pre-formatted form, which doesn’t allow you to add further information in or photographs. The Full Building Survey is a much more detailed and in-depth and usually requires more investigation. The latter will also provide advice on structural defects and maintenance options for each of the issues uncovered throughout the visit. For these reasons, RICS ranks the quality standard of a Full Building Survey higher (level 3) than a Homebuyer’s report (level 2). How long does the Full Structural Survey take? The visit to the property itself could easily take several (3-4) hours, as we take our time with the inspection in order to ensure we capture as much as possible. Sometimes, survey time can take a lot longer and it really depends on the amount and types of issues that are uncovered throughout the visit, as well as the size of the property. All areas that are accessible will be inspected and if we suspect any issues, be they inside or outside, we will recommend further investigation. Once the site visit has been conducted, we will begin writing up your report immediately and this usually takes a few days. How quickly can we write-up the report? We aim for a 2-3 day turnaround from the date of the site visit, but if a highlighted issue is found, further investigations from a senior surveyor and/or engineer may be necessary so it could take longer. I have already had a Mortgage Valuation. Is there any point of having a further survey done? You would not buy a car without inspecting it physically and checking the service history. This is similar for properties; the difference being is that this is potentially the biggest investment of a lifetime. It would be of immeasurable benefit to know what issues may occur in the short and long term and have a plan in place to cover the costs for these. A valuation focuses on the price of the property, whereas the building survey focuses on its condition. Realising you have moved into a property wrought with problems can be a nightmare, so don’t let it happen. Does anyone else receive a copy of my report? The report is sent out to you, our client, only. You can then decide to send the report or its findings to your solicitor. If serious previously unknown issues are uncovered, we find clients may, at times, use this information to ask the sellers to reduce the price accordingly. This would, of course, be dependent on the nature of the issue and this is done through your legal adviser. Can I ask you to pay special attention to a particular issue that I’ve noticed? We are more than happy to give any issues you may have concerns about the extra attention it needs. We can then advise in the report if we believe this to be a significant defect and whether any remedial works are required. Yes, we are regulated by the Royal Institution of Chartered Surveyors (RICS) and many other professional regulatory bodies such as CIAT, CIOB, SEE, FPWS and CABE. We are also a Chartered Building Consultancy, given that we have extensive first-hand experience as contractors. The report highlights dampness. What are my next steps? The surveys are non-invasive. So, given that the walls will not be opened up, the surveyor may not be able to confirm the extent of a particular defect. This may occur in particular with floor damp as fitted floor coverings would prevent the surveyor from being able to inspect the area further. On these occasions, we may refer to further inspections you may need to undertake to fully confirm the extent of the damage and the cost of repair. The report mentions that there may be Asbestos materials present. What should I do? Asbestos materials were used for many years in buildings and theoretically could be present anywhere, although in the recent decades they have been phased out. In many cases, such as in the pre-80s Artex ceilings, these do not present a high risk unless tampered with. The report, however, will advise as to whether the asbestos found within your property is deemed unsafe and if so will need to be removed by a licensed Asbestos contractor. Please note that if the surveyor has mentioned Asbestos in your report it may very well be that there are more unseen materials comprising Asbestos within the property. A party wall notice is a document which informs a neighbour of impending works which are notifiable under the Party Wall etc. Act 1996. It normally contains plans, describes the works taking place and comes with an acknowledgement form, which should state your choices as a neighbour under the Act: namely to consent or dissent. How should I reply to a party wall notice? You essentially have two options when replying to a party wall notice: consent or dissent. If you choose the former, then your neighbour proceeds with the works and no surveyors are appointed under the Act. However, if it is the latter, then you can appoint your own surveyor or both neighbours jointly appoint an agreed surveyor (who acts on behalf of both parties) for an award to be drafted and served. All surveyors in the party wall process are required to be impartial with the role of resolving disputes. This is because their appointment is statutory. In terms of consent and dissent, this is completely up to you. You will have to weigh up how much you trust your neighbours and whether you require the extra protection of an award. Do I need a party wall agreement for an extension? This will depend on the location of the extension – if it is within 3 meters of a neighbour or up to the boundary line then you will have to serve notice, provided you will be excavating at a lower depth than their foundations. Additionally, if you are doing any work to the party wall such as removing chimney breasts or inserting beams, you will also have to serve notice. If you require advice contact us for a free consultation about the best way forward. Do I need to send party wall notices to my neighbours? What is the difference between a party wall, a party structure and a party fence wall? Party fence wall: a wall which is located on the boundary line between properties that separates the boundaries between properties. It does not include a wall that is part of a building. Party structure: a party wall or partition that separates different properties such as ceilings in-between flats. Party wall: a wall that separates buildings belonging to different owners. An award is the final document that sets out certain terms which will have to be abided by in order to limit any disruption or damage to a neighbour’s property. It will serve as protection for both owners, as it will direct how the notifiable works are to be conducted and what remedies are available if any future problems occur. The surveyors may also assist during and after the work has been carried out. The award will also contain many other documents usually listed in a document register, such as plans, method statements, engineers’ calculations and any other reports which are deemed necessary to resolve a dispute. These are only needed if there is no consent to the works. One of the services that we offer is a schedule of condition. This will note down the condition of the property such as the size and location of cracks. We carry out a schedule of condition for party wall work to show the state of the property before work. We can then compare this to the new condition of building elements after the work has been carried out to see if any damage has occurred and if it is attributable to the relevant works. Additionally, we carry out a schedule of condition when a property is to be leased out. This will indicate the condition of the property when a lease starts so it can be left in a similar condition once the lease is complete. Who pays for a party wall survey? Virtually in every case, the person carrying out the works pays for the party wall surveyor(s) and any other associated costs; however, within the Act, costs are generally paid by whichever party is benefiting from the work. In 99% of works this is the party carrying out the works; however, in certain circumstances, such as when an adjoining owner requests additional works, costs can be shared. It should be noted that the costs of safeguarding (such as underpinning) are wholly born by the party carrying out the work. I have served party wall notice, when can I start works? This will depend on whether the adjoining owners have consented or dissented to the works. If there is consent, there is normally a phrase within the notice stating that the building owner can start straight away. If there is dissent, then the building owner should wait for an award to be served and for the notice period to expire, which is 1 month for section 1 and 6 works and 2 months for section 2 works. If an award is served earlier than the notice period, the building owner can only start works before the expiry of the notice period with written consent from the neighbour to do so. My neighbour has started work without a party wall agreement, what can I do? The first course of action is to send them a notice to comply with the Act, which we can send to them for free. If they do not comply with The Party Wall etc Act 1996, the manner in which they are conducting the work may be illegal. The next possible action is to try to obtain an injunction for them to stop works under court order. We do not often recommend this, as it can be very costly. These costs are not always recovered from the building owner. If they do not comply with the Party Wall Act and damage were to occur, a court would not look kindly on them. Where are your surveyors based? We have London chartered surveyors, Surrey chartered surveyors and Kingston chartered surveyors, all of which specialise in building surveys, projects and party walls. 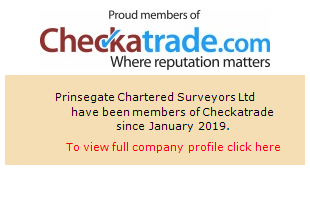 Feel free to read our Prinsegate Chartered Surveyors reviews on Facebook and Google reviews, as well as the testimonials on our homepage. We aim for the highest levels of customer satisfaction so we’re confident that you will be happy with our services. However, please write to us in the first instance if you have concerns. We will investigate and respond as soon as possible. If you would like to ask any further questions about your Building Surveys, Party Wall Disputes or anything relating to our services, please contact us either via our contact page or via email at info@prinsegate.com and we shall aim to get back to you as quickly as possible.